Slip’s design and color scheme is very easy on the eyes. Although they are a newer site, they seem to follow the basic template of roulette sites, which is set it on a dark background, preferably black or dark blue. The reason they use this color scheme is that it makes the colors red and green pop out very well and add contrast, but does not hurt the eyes if you are going to be playing for a long time here. Slip.gg is relatively a new gambling site in the bitcoin world just like I mentioned. And by new, that means that they just are into their first year since opening the business. Compared to other bitcoin casinos, they are infants in the world of giants. Being a newcomer, I had doubts before investing and playing in there, and I did a little research. The research I did in Google turned out to be a let down as I did not find a lot of information regarding this site. I mean, who would expect to find reports if they have just started right? So I did what I do best, investigate deeper. The website was started exactly 1 year and 69 days ago. The operation date is most likely just a few months ago since it is not listed in Scam Adviser. I also checked on Trust Pilot and see if there are any members who might leave a review for the company, may it be positive or negative. But alas, I have found none. This means two things, they have not advertised that well as of the moment and right now, the gamblers who are playing there are happy as clams. Next thing I did was to go on the site itself as they have a chat room built in on the right panel of the site. To my surprise, I saw gamblers there by the numbers. For a newly started company, getting players in the range of 60 to 130 is somewhat unheard of with their no advertisement campaign. That means they pull in gamblers by word of mouth. If a company does that, that means that customers are happy and they refer it to people. The community is active as well and there are a lot of chatters and people who actually bet on the roulette game. They only offer one game here, and that is Roulette. They are kind of lacking in the features department as of right now as they only offer one casino game. Maybe sometime in the future, if they decide to expand, then we might see some more added features. For benefits, however, they are pretty good at this. They send your withdrawals with a priority fee and they shoulder the said fee. That means you can get your withdrawals faster to your wallet and get the whole amount as they do not charge you fees for withdrawing. The only drawback, however, is that the minimum amount has to be 0.004 bitcoins, and that is a little steep for gamblers who play the minimum bet. They also have a referral system where you get a portion of the amount that your referral deposits. 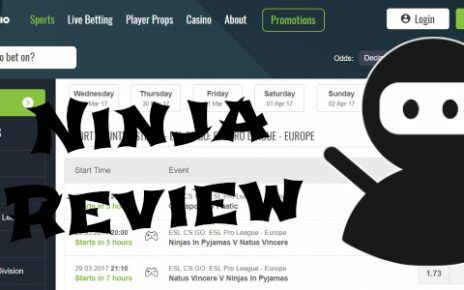 This is a good way to earn extra coins for betting if you happen to know a lot of people and advertise Slip to them. The amount for claiming the referrals is set at 0.0006 satoshis, so if you invite a whale, you will be swimming in money soon enough. The odds they offer are pretty standard and they follow every other bitcoin casino that offers the game Roulette. The red and black will double your bet when you win while the green tile multiplies your bet by 35x. If you are feeling lucky though, try betting on the green tile. Won a bet once when I did it. They offer a one time bonus of 0.00007746 satoshis which is around the value of $0.50. To avail the bonus they are offering, you should link at least one social media account, verify your phone number and your email address. 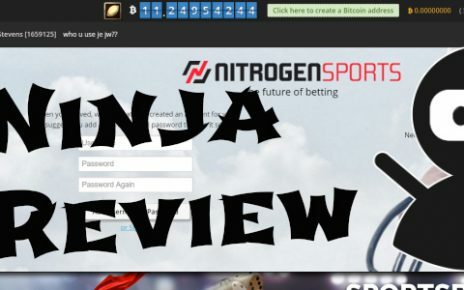 Use the code eninja to avail the 0.00007746 satoshi bonus. They do offer bonus free bitcoins on their Twitter page. If you happen to go there and claim a code, then lucky you as they go out fast. Since this is a bitcoin roulette site, the main currency accepted for gambling is bitcoins. However, if you have any other type of cryptocurrency, do not be worried. They also offer conversion of your cryptocurrency to bitcoins by using ShapeShift. This is actually a nifty way to deposit if you are planning to use your stockpile of Doge coins to gamble as Doge is one of the coins that they accept thru ShapeShift. The main point of contact for their customer service is the ticket system. The turn around time for their ticket system is under 4 hours, just like they advertised. Although I just asked a few questions regarding my account, the representative answered in a courteous and timely manner which actually surprised me as some of these casinos usually need to have a turn around time of 24 to 48 hours. The site is very mobile friendly as it scales well with mobile phones and tablets. There was nothing out of place when playing with a mobile phone, but if you have big thumbs like me, I suggest playing on the site using a tablet since the display for the numbers are kind of small when scaled down to a smaller screen. Although you have the ability to zoom it in, I prefer to see the numbers right away and be able to press the buttons correctly on the first try. 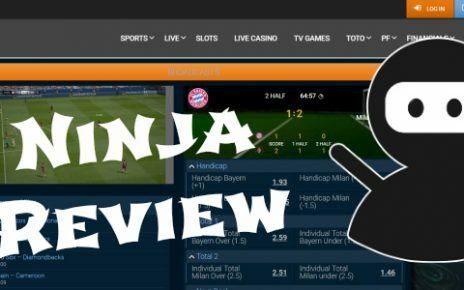 Overall, for a newer gambling site, Slip.gg seems to bat a very good average. So far there have been no complaints regarding it and also a healthy amount of gamblers even with no advertising besides Twitter. I wish they have a lower withdrawal threshold however since bitcoin price has already gone down. Aside from that, they are a pretty good place to gamble due to fast withdrawals. – Clean and nice design on the site.